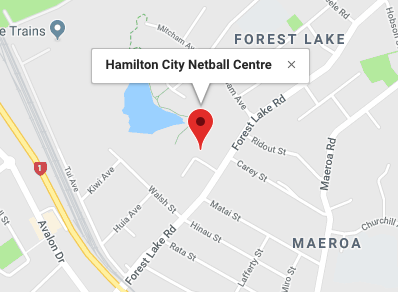 Congratulations to all those who have been names in the Hamilton City Netball Centre Representative Squad for 2019. All player fees are due 2 weeks after final teams are announced, unless a payment plan has been approved by HCNC. Trudie has coached for Hamilton City Netball in the Year 7 age group for two years, stepping up to Year 8 this year. As a teacher,her passion lies with developing the younger age group, growing their all round skills and court work as they aspire to reach higher honours in future years. She enjoys developing a positive team culture which transfers on court and continues off court. Teresa Hansen started her coaching career as a parent with Hamilton West School where she has been coaching since 2015. In addition to completing her Community Coach Award, she is also part way through her NZ Certificate in Coaching and Instructing – Level 5 (Waikato Institute for Leisure and Sports Studies). In 2018 she was appointed Manager of the Year 7A Hamilton Representative team and went on to become a Post Season Development Coach for Year 7 & 8 Skill Sessions. Prior to being appointed for Year 8 Representative Coach this year, she did Pre-Season Development Coaching for Year 8 Academy. Her dedication and passion towards netball is highly evident. She is also a player/coach for Fraser Tech Netball Club and a Registered Umpire for Hamilton Netball Centre. Her coaching philosophy is “Fun, Focus, Fitness and Fame” and she is looking forward to bringing out the best in players this year.